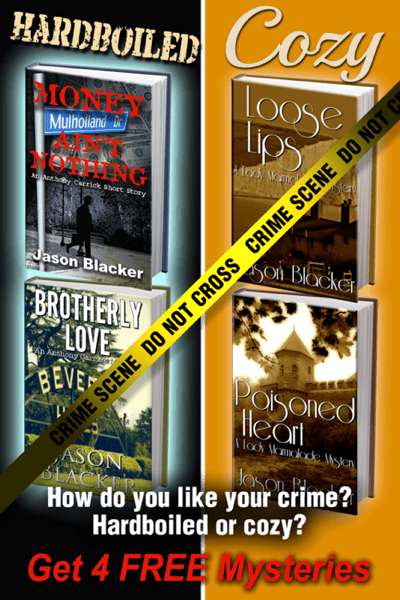 Just tell me where to send your 2 cozy and 2 hardboiled mysteries. No spam ever. Scout's honor. Easy unsubscribe.